Accounts receivable can be a complicated process at any organization, particularly in health care where Third Party Insurance claims are a part of the equation. Efficient billing and follow up management are crucial components of an effective accounts receivable department, as it can go a long way toward ensuring payments are made and accounts are cleared in a timely fashion. 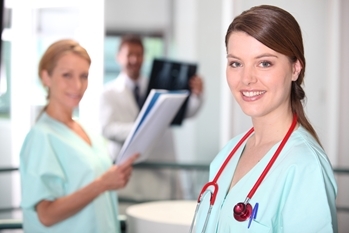 At Professional Medical Services (PMS), our team can assist your accounts receivable department by offering a wide range of solutions designed to build efficiency and improve all matters pertaining to your billing and follow up process. While you spend your time working on larger, high-priority accounts, our services can alleviate the weight of any outstanding issues that may be low-priority but still require attention. Our service is backed by a combination of skilled and experienced individuals with expertise in the financial end of the health care industry and an innovative automated system that streamlines billing and other accounts receivable processes. Our system is designed to track the level of our service to ensure we are always on point and we provide you the highest possible return on investment. Our services are flexible, as we can adjust our offerings so they are optimized for the specifications of your organization. As we work as an extension of your own department, we will formulate a service plan that meets your specific needs. Additionally, we can scale the extent of our services depending on the size and internal resources of your own department. Ultimately, our services are designed to alleviate the burden of managing an ever-growing population of Third Party Insurance accounts. With our help, you can focus more on the standard daily operations of your department, while we mitigate any outstanding issues that could hinder the efficiency of your accounts receivable.